KJF Property Services - Home Improvements based in Whitchurch, Hampshire. 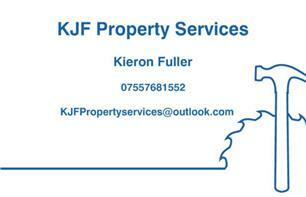 Kieron at KJF Property Services is your friendly local trademan. I pride myself in a quality repuation and all work is completed to the highest standard. I have been working as a Handy Man / Tradesman for many years now, previously working for a large company where i picked up a large skill set and wealth of experience. We are here for those fustrating little jobs like a dripping tap or the dreaded flatpack furniture.